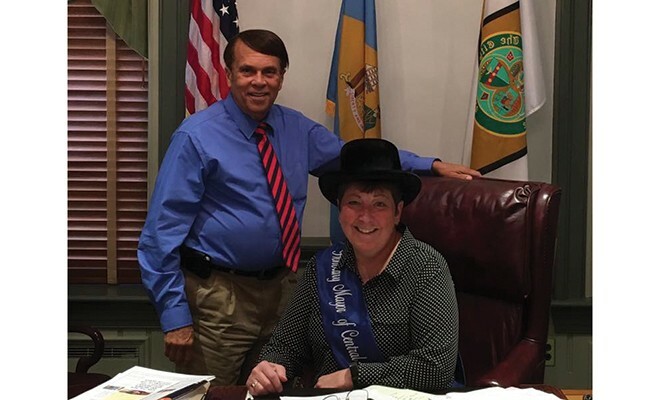 I am excited about the idea of serving as the Honorary Mayor of Central Delaware! I am very thankful to the Central Delaware Chamber of Commerce for inviting me to participate in this year’s campaign and I am also grateful to those who voted for me. I do believe that the person in this position can and should promote life here in Central Delaware by serving as the “community cheerleader” and finding ways to lift up the amazing things that are happening in our little corner of the world. To this end, I am planning to post events, activities, and ideas celebrating life in Kent County on social media under the hashtag #lovemyhometown. I hope you will consider joining me in this effort to build and grow hometown pride by following these posts and by inviting me to special events that you may be hosting so that I can give you a “shout out” and post pictures! The CDCC does such an incredible job of supporting and assisting small businesses in our area as they grow, play a vital role in our community, and realize their dreams. The programs of the chamber help business owners build a strong network of colleagues, learn the marketing skills they need to increase awareness about their business, and strengthen their leadership skills. I believe that these services could also be valuable to the younger members of our community – high school and college students. As Honorary Mayor, I would like to create opportunities for these aspiring younger members of our community to become familiar not only with the CDCC, but also with the opportunities that are available to them as they pursue their career paths and seek to become contributing citizens here in Central Delaware. I am still just brainstorming about what this part of my term will look like, but I am very excited about the possibilities! Serving as your Honorary Mayor is a unique honor and quite a privilege! I am hopeful that I will be able to use my tenure in this role to give back to our community that I have grown to love since my move here in 2000. I am also hopeful that you will join me in celebrating all of the blessings that come from living and working here in Central Delaware. #lovemyhometown!